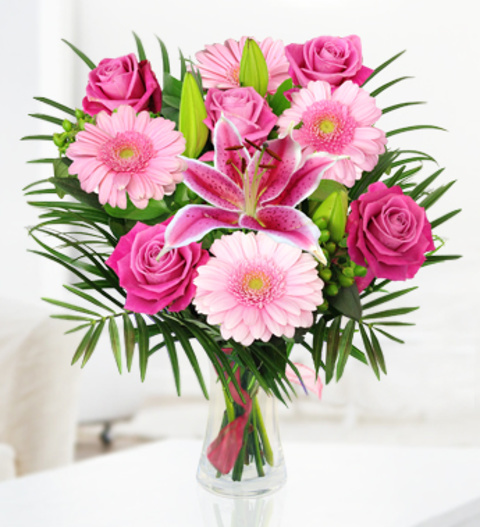 Our Mother&apos;s Day bouquet is a delightful arrangement of lush pink roses, pink germini flowers, palm and hypericum beautifully arranged specially for Mother&apos;s Day. The arrangement is skilfully arranged an comes with a FREE box of delicious Belgian chocolates and is available for UK Next day delivery. Chocolates may contain nuts.